Hanoi (VNA) – Japan’s Tasuno company will extend the agreement on technical cooperation and technology transfer signed with the Vietnam National Petroleum Group (Petrolimex) in August 1999, said Petrolimex. Accordingly, Tatsuno will continue to support Petrolimex with technology transfer to manufacture and assemble new generation fuel dispensers with user-friendly multi-pumps. The Petrolimex Equipment Joint Stock Company (PECO) is assigned to receive the transfer, while Japan’s Nomura Trading Company will import equipment for Petrolimex and assemble a series of semi-knocked down dispensers designed by Tatsuno. 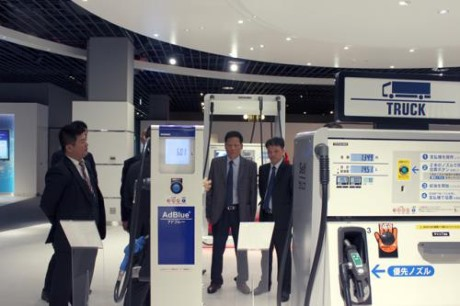 According to Petrolimex General Director Tran Van Thinh, during a recent visit to Japan, Petrolimex asked Tatsuno to continue supplying new equipment and technology for Petrolimex, such as steam recovery fuel dispensers and super lightweight oil guns. Tatsuno Chairman Hiromichi Tatsuno expressed his desire to continue long-term cooperation with Petrolimex and PECO for the modernisation of petrol stations.